Failure to provide appropriate behavioral interventions may be contributing to delinquency among students with disabilities. Students of color, students with disabilities, and especially poor black males, are at greatest risk for being suspended repeatedly in a single school year, raising serious questions about the adequacy of behavioral supports that are being provided. Effective interventions and programs that reduce risk and enhance protective factors for youths at risk for delinquency exist. These have the potential to reduce the human costs of victimization and save tax dollars in both the short and long terms. The school-to-prison pipeline is preventable, but harnessing the political will to do so is difficult. This challenge may well prove to be more formidable than accumulating the knowledge base required to reverse the flow from the school-to-prison pipeline toward the school-to-graduation-to-postsecondary-education path. Placing pressure on leaders to move beyond the simplistic rhetoric of zero tolerance and getting the “disruptive kids out of class” to address these complex problems and glaring racial disparities with compassion, care, knowledge, and determination will not be easy. 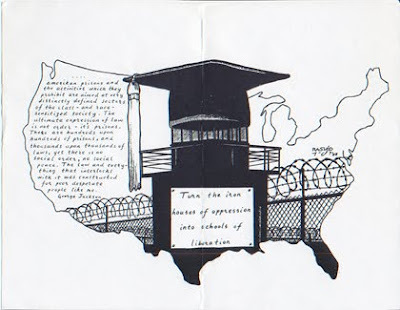 Adult prisons and juvenile halls are riddled with children who have traveled through the school-to-prison pipeline. Approximately 68 percent of state prison inmates in 1997 had not completed high school. Seventy-five percent of youths under age eighteen who have been sentenced to adult prisons have not passed tenth grade. An estimated 70 percent of the juvenile justice population suffers from learning disabilities, and 33 percent read below the fourth grade level. The single largest predictor of later arrest among adolescent females is having been suspended, expelled, or retained during the middle school years. Yet despite the strong relationships that exist between troubled educational histories and subsequent arrest and incarceration, the specific ways in which schools may either contribute to or prevent the flow of students into the criminal justice system remains largely unexplored. Given the growing overall numbers of the prison population—now at a record 2.1 million—in the United States, along with the glaring racial disproportionality within this population, achieving a more accurate and complete understanding of these relationships is urgent. As school psychologists how can we help to replace the school-to- prison pipeline with a school- to- post -secondary training path? Are there interventions that we know about that address the lack of skill development in some children? What kinds of behaviors are children exhibiting that require such restrictive placements? Are these placements in settings like those used for the "educably mentally retarded" or "emotionally disturbed"? Are these settings providing the kind of opportunities for educational and social growth that children and adolescents need?